It’s hard to write anything new about the Bowers & Wilkins P5 Wireless headphone because so much of what needs to be said has already been said—twice! My review of the P5 Wireless is based on the P5 Series 2 which in turn was largely based on my impressions of the original P5. Sure, the P5 Series 2 had upgraded speakers and other improvements, but as I said in the review, if you were happy with the original, there was no urgent need to upgrade. Because of the P5 Wireless, I may have to rethink that. First, let’s answer some questions: Have the P5 speakers been upgraded again? No. Are the materials even more luxurious this time? Nope. Better craftsmanship? Not at all. Then what is the compelling reason to consider the newest P5? Bluetooth—lowly Bluetooth. Well, it was lowly. Not so much anymore. B&W has managed to keep the sound and soul of the P5 intact even after cutting the cord. And that ain’t no easy task. \Let’s go over the basics: Nothing has changed much from the P5 Series 2. 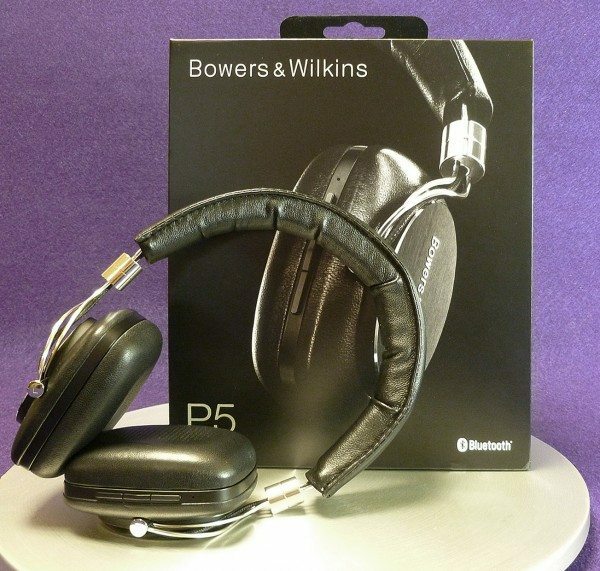 The P5 Wireless uses the same upgraded speakers, sumptuous leather, comfortable headband, retro, yet modern looks and same carrying case. 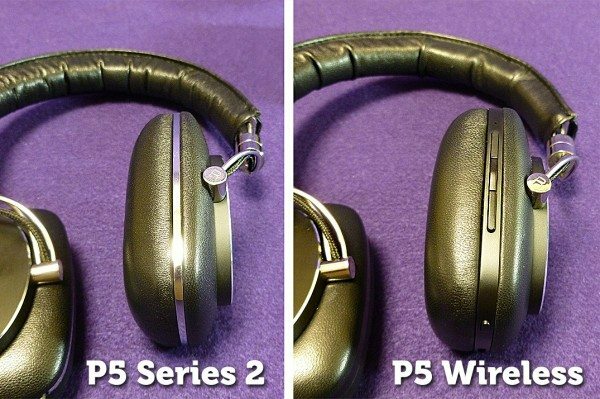 Everything that was good about the P5 Series 2 is present in the P5 Wireless. The only difference is obviously Bluetooth, So let’s talk about that. The P5 Wireless headphone manages to incorporate Bluetooth in a seemingly magical way. Magical because the difference between wired and wireless will only be noticeable to truly discerning ears. Since the P5 Wireless is now—well, wireless—there’s a sense of freedom wearing them. I immediately noticed this in my office from the first day of use. My office job allows me to listen to music using either headphones or desktop speakers. 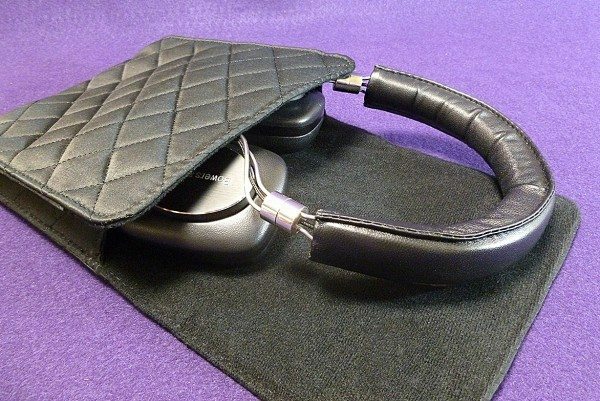 Headphones have always presented an issue because I had to remove them when I frequently left my desk. Now I can just slide the P5 Wireless around my neck and walk around, resuming my music when I return to my office. Granted, I have to hit PLAY again because my iPhone will pause the music when it loses its Bluetooth signal, but no wires means more flexibility. 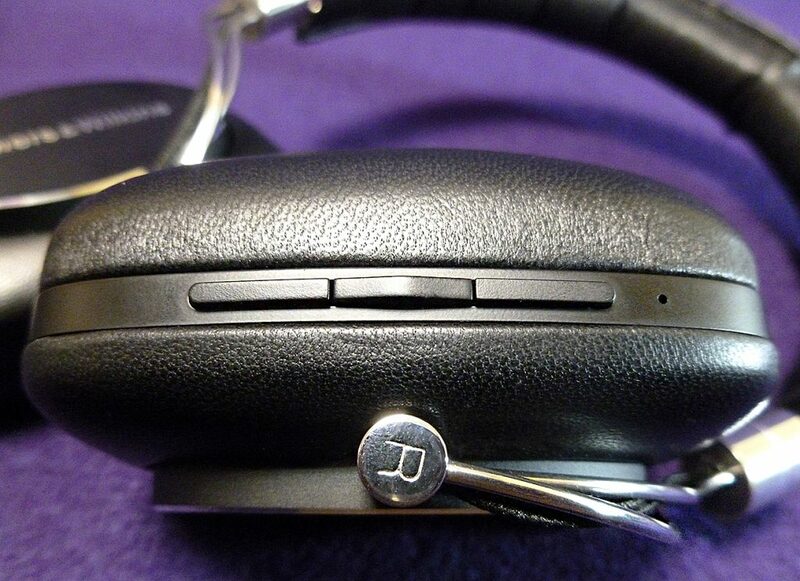 The P5 Wireless uses a 3-button system at the rear of the right ear cup. The upper button is Volume up and the lower is Volume down. The middle button is Pause/Play. Pressing twice skips forward and three times skips backward. The buttons are slim and small but with use, they are easy to navigate without much thought. There are two phone mics built into the ear cup also for phone calls. After all this time, It’s still weird talking on the phone with headphones, because you hear the other person better than your own voice. I have never gotten used to that. Pairing was straightforward and painless. Just slide the small On/Off button under the right ear cup—then press and hold until a blue light flashes. Look for the P5 in the Bluetooth settings on your device and that’s it. From then on, unless another Bluetooth device is used, the P5 remembers the connection. The P5 Wireless has a rechargeable battery that provides up to 17 hours continuous listening, which can be very convenient on long trips. They will continue to work when wired should the battery be drained before recharging. Almost everything I’ve said so far also applies to many other Bluetooth headphones. 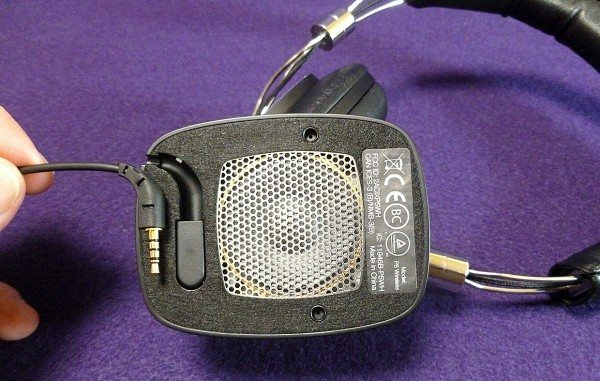 Wireless headphones are not unique anymore. The P5 Wireless headphones aren’t any more or less convenient than other headphones, which are just as easy to set up and use. What’s special about the P5 Wireless is the sound. I have many Bluetooth headphone which sound good, but they’re not Bowers & Wilkins good. At the risk of sounding (pun intended) snobbish, the B&W P5 Wireless headphones are in a league all their own. 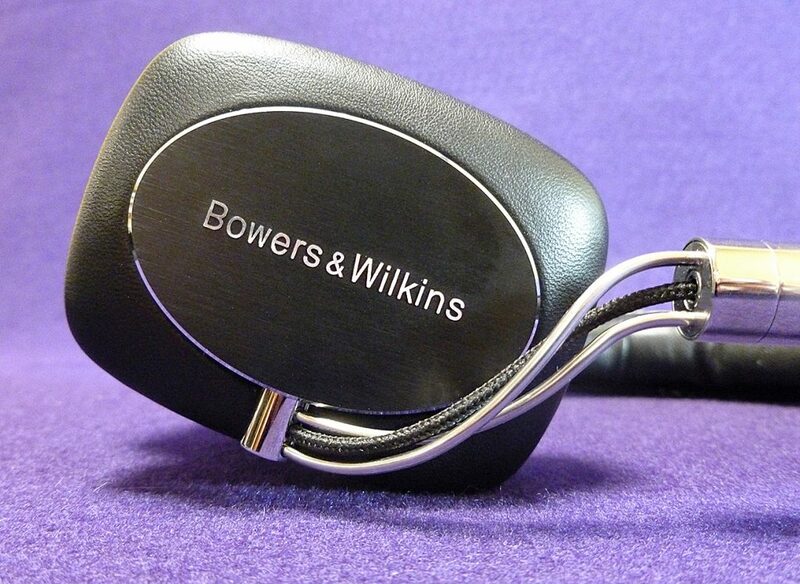 B&W has embraced Bluetooth in ways many other high-end audio companies have yet to do. Their T7 portable speaker and new Zeppelin Wireless (to be reviewed soon) are bringing Bluetooth to people who would normally turn their nose up at the technology. Truthfully, I still have issues with Bluetooth that even B&W hasn’t completely erased such as occasional dropouts, disconnections and other audio glitches. However Bluetooth 4.0 is much, much better than standard Bluetooth ever was. Plus B&W has managed to stay on top of the continually evolving Bluetooth with upgrades keeping their products as up-to-date as possible. I’ve read that B&W delayed entering the Bluetooth arena until AptX Bluetooth became available. If that’s the case, it’s ironic since B&W’s tech is way more friendly towards Apple than Android devices yet Apple doesn’t do AptX. Plus, I have trouble telling a difference with AptX on or off. I think Bluetooth 4.0 is a much more important advancement. The sound of the P5 Wireless is just what you’d expect. When wired, it sounds exactly like its fully wired cousin. Sans wires, the sound is ever-so-slightly less engaging, but really—who cares? The reason people go wireless is for convenience over audio quality. Wireless headphones are meant for the real world, with all of its background noise and distractions, so any audio advantage is canceled out. 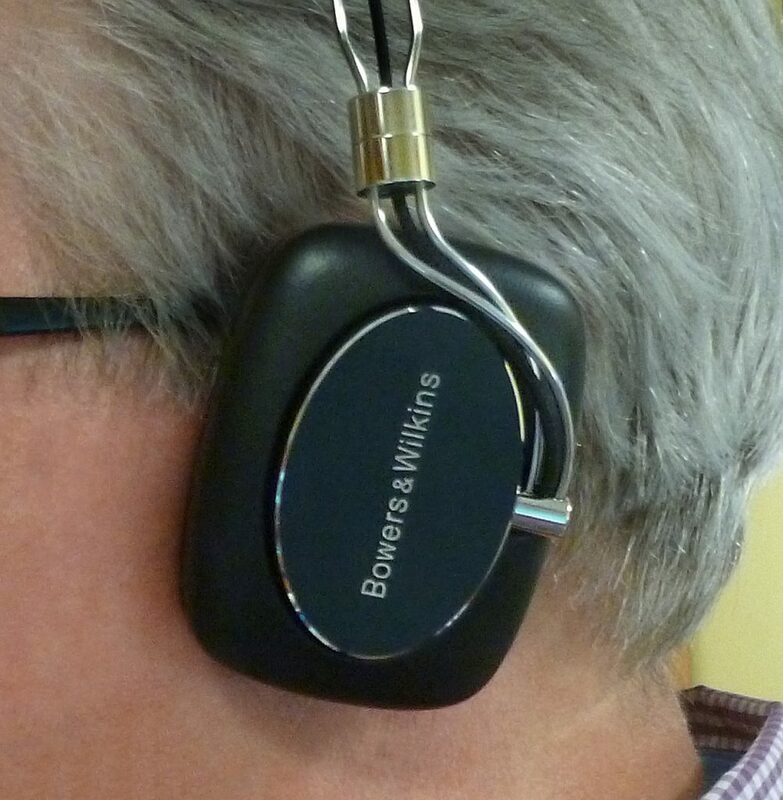 However, the fact that Bowers & Wilkins makes the P5 sound as good as it does when wireless is a wonderful bonus. I could go into specifics about how the P5 Wireless musically sounds, but since it’s identical to the P5 Series 2, just read my review here. As much as I like and appreciate the addition of wireless to the P5, it comes at a cost … literally. 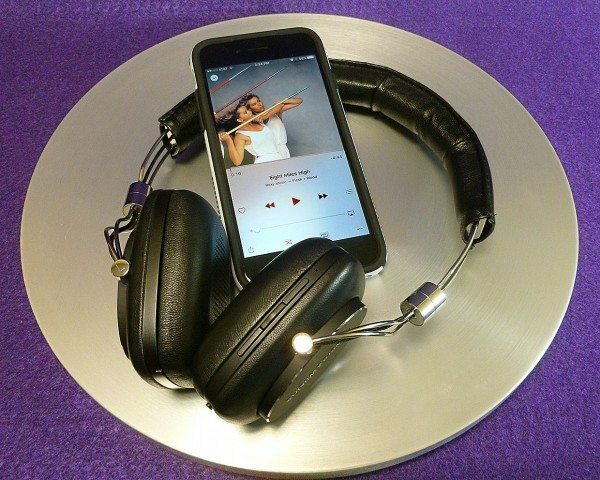 The P5 wireless headphones are not cheap—the addition of the electronics necessary for a Bluetooth receiver with its buttons and mics adds a significant $100 US to the P5’s $300 price. That increase only seems reasonable when you realize that B&W kept the size and weight almost identical to the wired P5 without any compromises in quality. Bowers & Wilkins not only design and make game-changing audio products, but also continually evolve their existing line. The P5 Wireless is more evolutionary than new. Even so, it’s a big leap in the wireless world of Bluetooth. 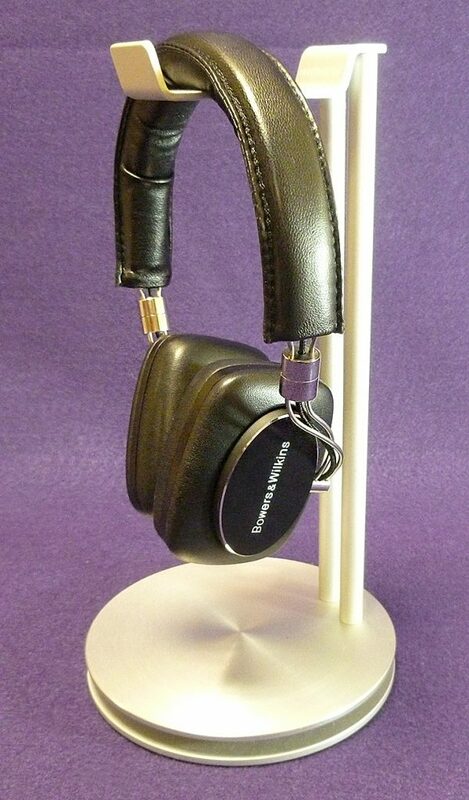 Source: The sample for this review was provided by Bowers & Wilkins. 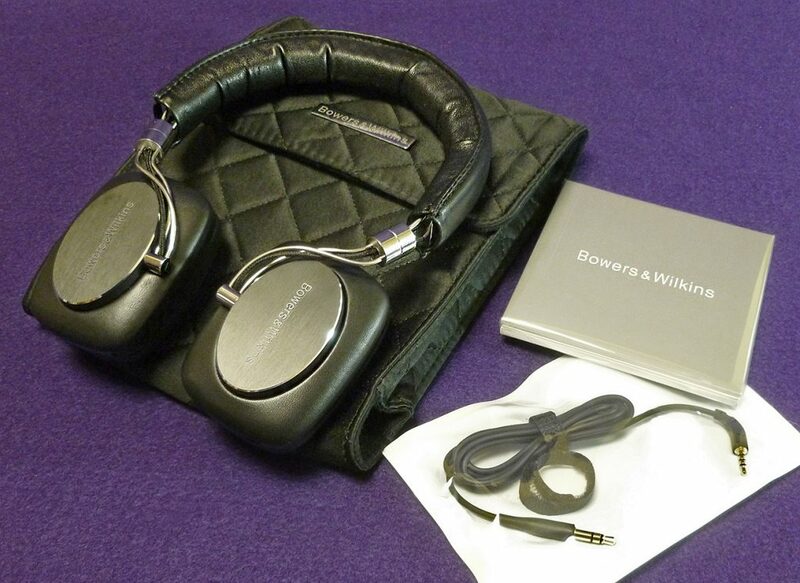 Please visit www.bowers-wilkins.com for more information and Amazon to order.